Recently, I was in the Philippines to attend Akbayan Citizens’ Action Party‘s 5th National Congress. Akbayan is a partner in President Benigno “Noynoy” Aquino’s government and together with DAP participate in the regional Network of Social Democracy in Asia as well as Socialist International. President Aquino delivered the keynote address at the congress which was attended by about 1000 delegates representing the different provinces in the Philippines as well as sectors such as peasants, workers, urban poor, and students and youth. I joined members of the diplomatic corps in the Philippines and representatives from international partners in Europe, Asia and Australia as special guests of the 3-day congress. 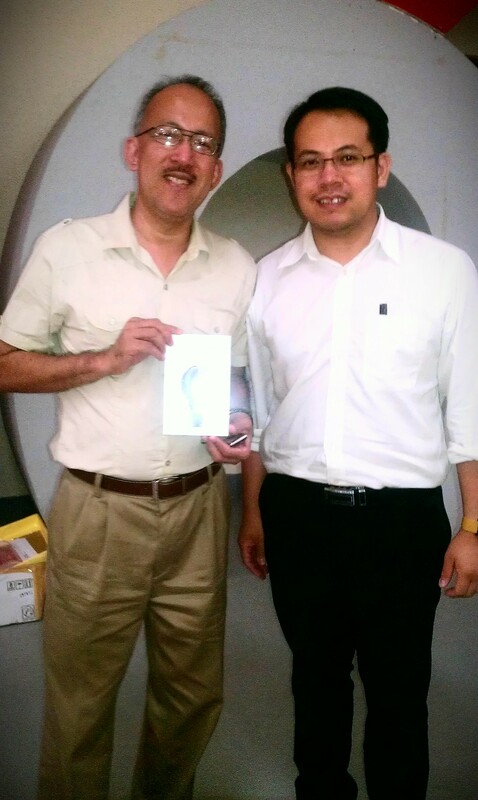 During the congress, I had the privilege to present a copy of my book, The Audacity to Think, to President Aquino through his senior aide, Ronald Llamas, the presidential political affairs advisor. It was indeed an honour for me to exchange views on politics with Llamas, who was an active political activist during the Marcos regime. 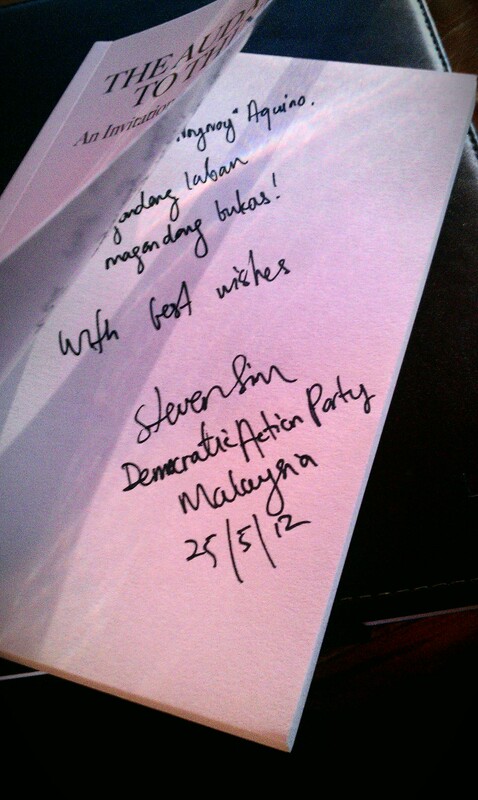 I wrote a little message for the President in my book – “magandang laban, magandang bukas! With best wishes”. The opening words are Filipino language meaning, “beautiful struggle, beautiful tomorrow”. The phrase was taken from the theme of Akbayan’s congress. In the spirit of solidarity and ASEAN friendship, I wish the best for President Aquino, Akbayan and the people of the Philippines.